In this article you have the chance to explore some of the most beautiful homes currently for sale on the French Riviera. The French Riviera is truly a paradise, no doubt about it. But a place in paradise costs dearly and only few can afford it. 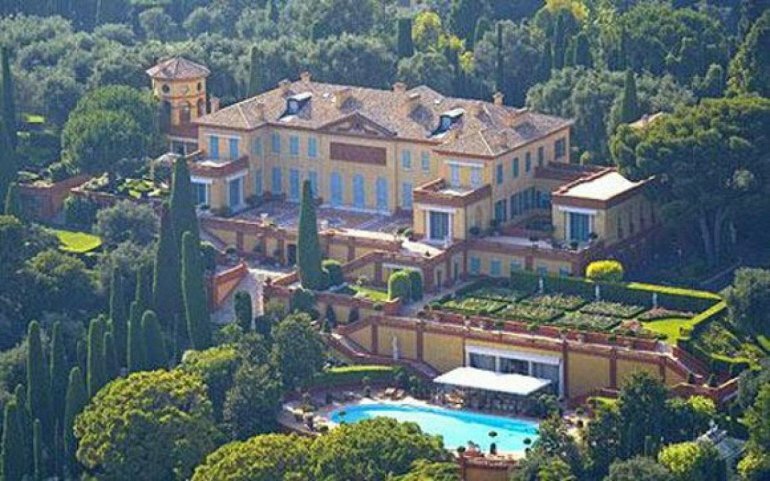 Most famous businessmen, actors and singers from around the world buy homes on the Côte d’Azur. Let us have a closer look at the most luxurious properties on the French Riviera. The most expensive villa on the Côte d’Azur “Les Cèdres” is located on Avenue Denis Semeria, in the very heart of Saint-Jean-Cap-Ferrat. This beautiful mansion was once a refuge of King Leopold II. It is presently owned by the Marnier-Lapostol family and its value is estimated at one billion Euros. This luxury villa has ten bedrooms, a party hall, conservatory, stables, and an office building. It also features a 50-meter swimming pool and 14 acres of botanical gardens, with many extremely rare tropical plants to be admired. Last year, Marina Picasso, the daughter of the Spanish painter, received an offer of 150 million Euros for the villa. Being very attached to the place, she decided to find a new home first and then sell the 1,200 m2 estate that belonged to her father. The villa “Leopolda”, once owned by King Leopold II and Prince Albert I, is a must-see. The luxurious mansion on the hills of Villefranche-sur-Mer has long been considered one of the most expensive houses in the world. 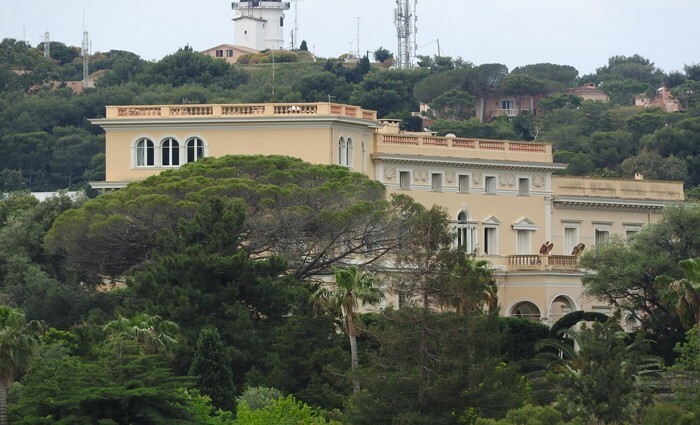 In the mid 1980s, an Italian entrepreneur Gianni Agnelli, main shareholder and CEO of FIAT, sold the estate to Edmond Safra, a banker of Lebanese-Monegasque origin. The last bid on the villa was made by the Russian oligarch Mikhail Prokhorov. 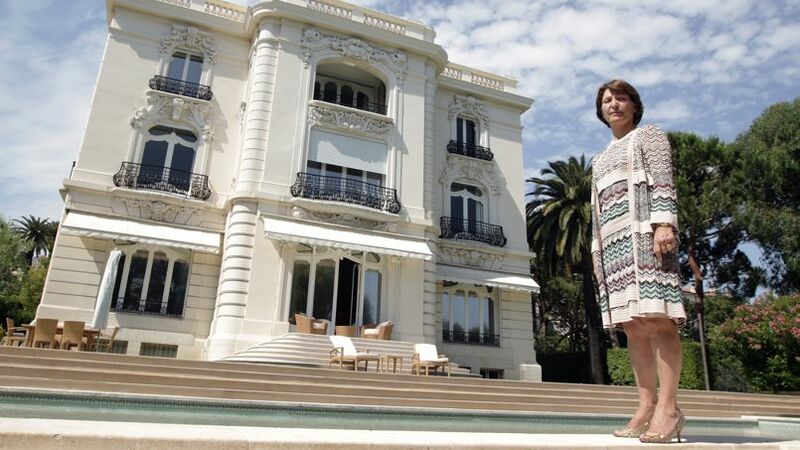 He was ready to pay 400 million Euros for the property. However, the deal did not go through and the “Leopolda” is still up for sale. 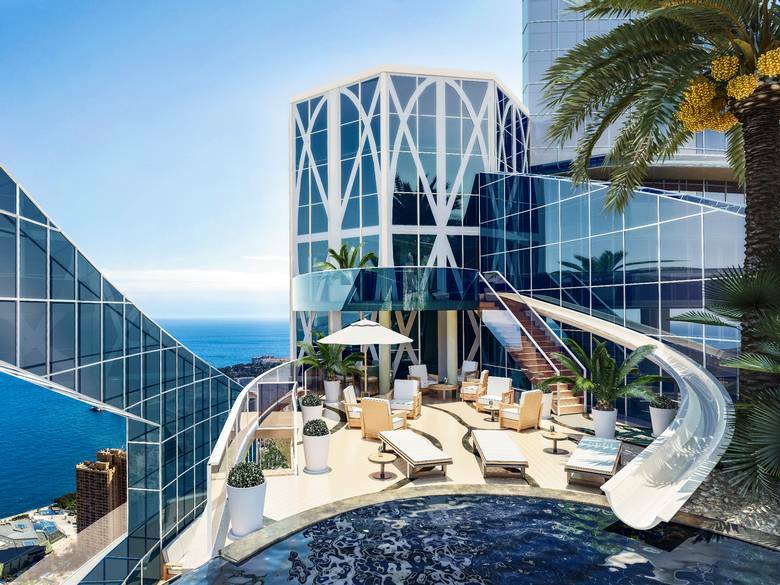 The Penthouse of the Odeon Tower in Monaco is also one of the most expensive properties currently available. Located at an altitude of 170 meters, the ​​3,300m2 apartment takes up the 45th-49th floors of the elite building. This property with its dizzying panoramic views, a swimming pool with a water slide, a gym, and a sauna is estimated at a minimum of 300 million Euros. The penthouse is proudly classed as the most expensive apartment in the world. 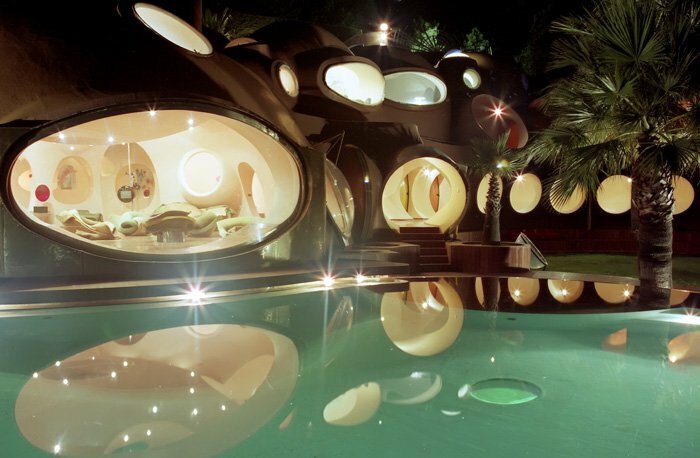 The last of the top five most expensive homes on the Côte d’Azur is Pierre Cardin’s “House of Bubbles” in Theoule-sur-Mer. Designed by the Hungarian architect Antti Lovag, the mansion of ​​1,200 m2 enjoys a panoramic view of Cannes Bay. This “architectural folly” consisting of more than a thousand windows, resembles a cave. From the ceiling to the floor, the building is constructed using spherical shapes. It features a reception hall for 350 people, a panoramic hall, ten luxury rooms, a swimming pool, ponds and a garden area of ​​8,500 m2. And last, but not least, it has a 500-seat open-air amphitheatre. Your “Bubble Dream” can come true for 350 million Euros. As you can see, each luxury property for sale is uniquely beautiful and one of these French Riviera homes could be yours if you happen to have a few hundred million Euros to spare.